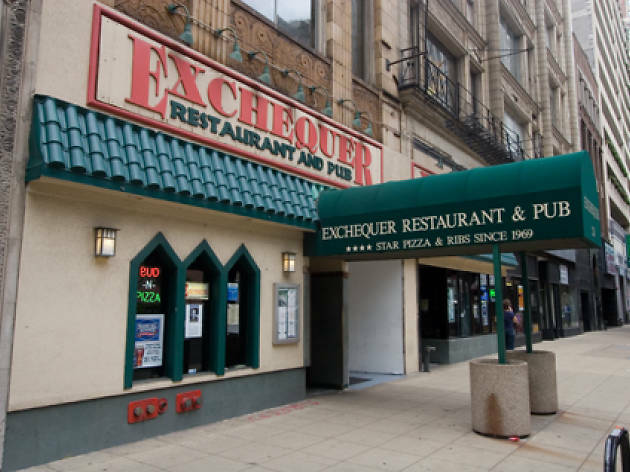 Have you ever wanted to visit the location where Johnny Depp went out to dinner in Public Enemies or the infamous staircase that appeared in The Untouchables? 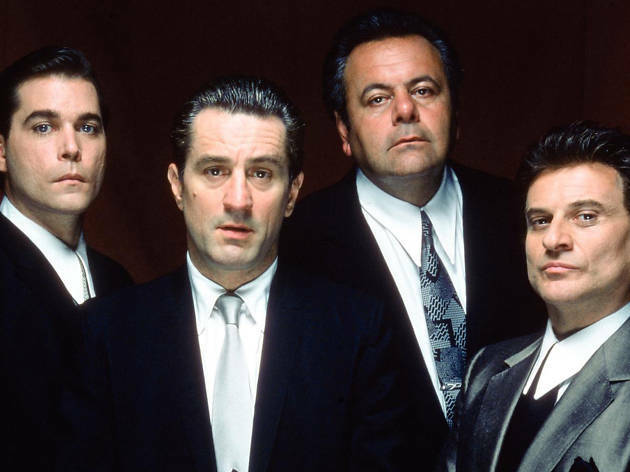 Chicago is a city that boasts beautiful buildings, former speakeasies and a storied past of criminal activitiy, making it a natural choice as a location for ganster movies. 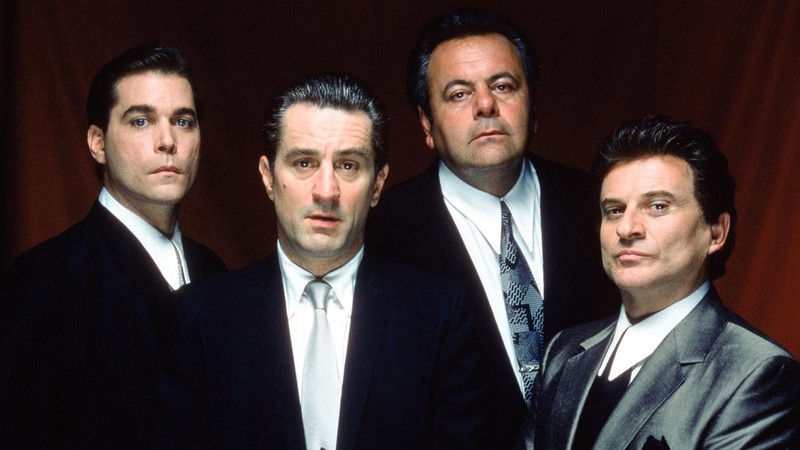 This 2.5-hour walking tour will take you to some of the most recognizable mafia movie locations in the South Loop in an hour and a half (or less). Put on your best fedora, make sure there's nobody tailing you and lose yourself in the streets of Chicago's cinematic gangland. 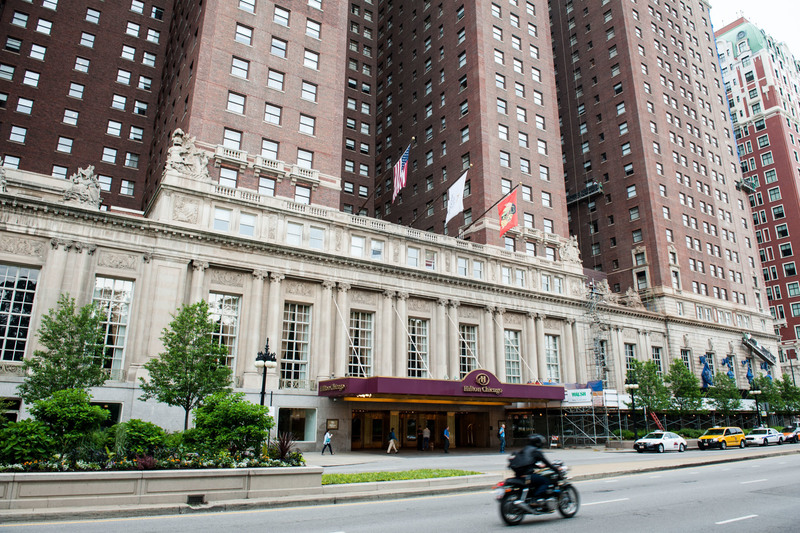 Start at Chicago Hilton (720 S Michigan Ave) whose lobby stairways and second-floor elevators made suitable stand-ins for those of the now-demolished Lexington Hotel in Road to Perdition. This is the site where Michael Sullivan (Tom Hanks) first visits Al Capone henchman Frank Nitti (Stanley Tucci) and later (spoiler!) goes to kill Daniel Craig’s character. Movie buffs will also recognize the setting from the final scene of The Fugitive. For continuity with the next stop, take a quick walk to the right after entering to check out a picture of President Kennedy and the first Mayor Daley exiting the building. 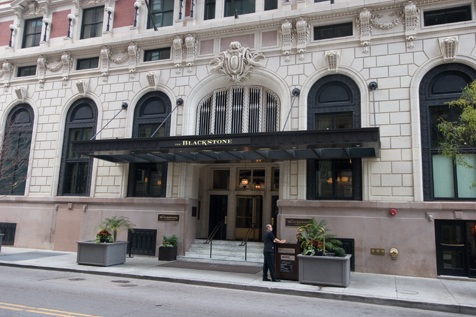 Walk north half a block on Michigan Avenue and turn left on Balbo Avenue to the main entrance of the Renaissance Blackstone Hotel (636 S Michigan Ave) which is famous for hosting American Presidents. Hit "BALLROOM" on the elevator and exit left. 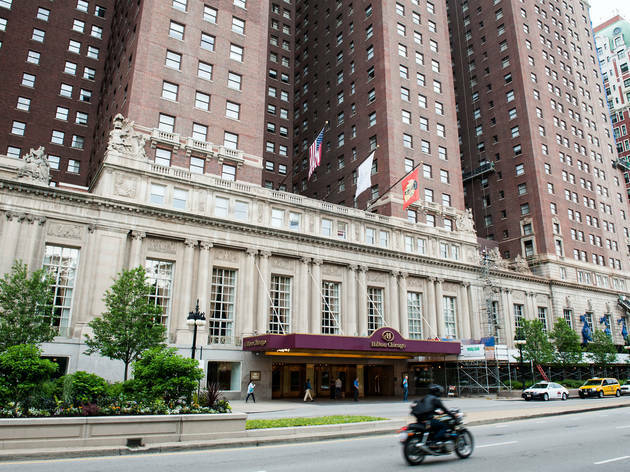 Disguised as a swank dining room in The Untouchables, this ballroom became a ball field when Robert De Niro’s Capone took a bat to an underling’s head. According to the hotel’s concierge, a buildingwide renovation completed in 2008 stripped away paint, installed a fresh carpet and changed the room substantially from how it looked during filming—but restored it, ironically, to its 1910 appearance, roughly how it would have looked in Capone’s time. 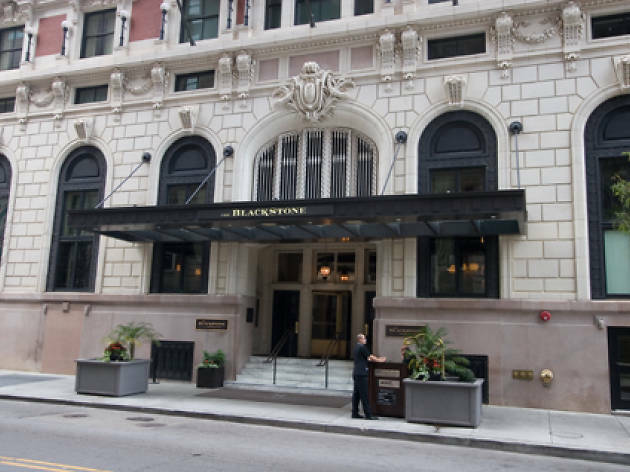 Next, walk north on Michigan to the Auditorium Building (430 S Michigan Ave), run by Roosevelt University and cast as the Lexington Hotel in The Untouchables. Duck inside, and you’ll see the palatial staircase where Eliot Ness (Kevin Costner) confronted Capone midway through the film. 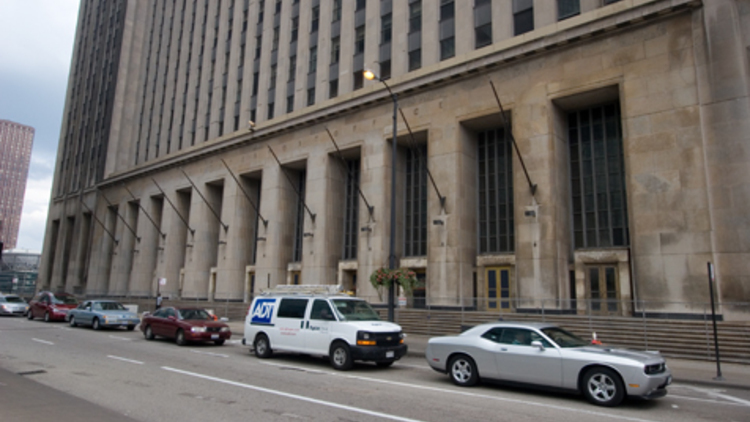 Around the corner on Congress is the Auditorium Theatre (50 E Congress Pkwy), featured in Public Enemies. In the lobby, John Dillinger (Johnny Depp) told Billie Frechette (Marion Cotillard) he wouldn’t let her work as a coat-check girl no more. Later in the film, the auditorium itself appears disguised as a movie theater. No one recognizes Dillinger when his image flashes in a newsreel. Continue north on Michigan and hang a left on Jackson. 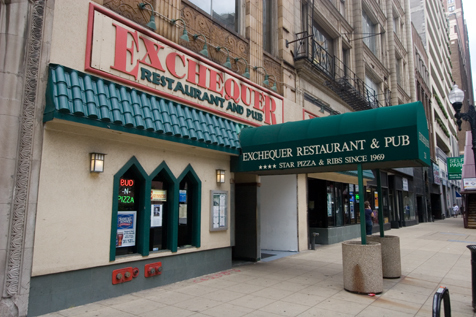 Make a right on Wabash Avenue and pop into Exchequer Restaurant & Pub (226 S Wabash Ave), which in its prior incarnation was a speakeasy and supposed Capone hangout. Gangland headlines are framed on the south wall, but a sports theme predominates. 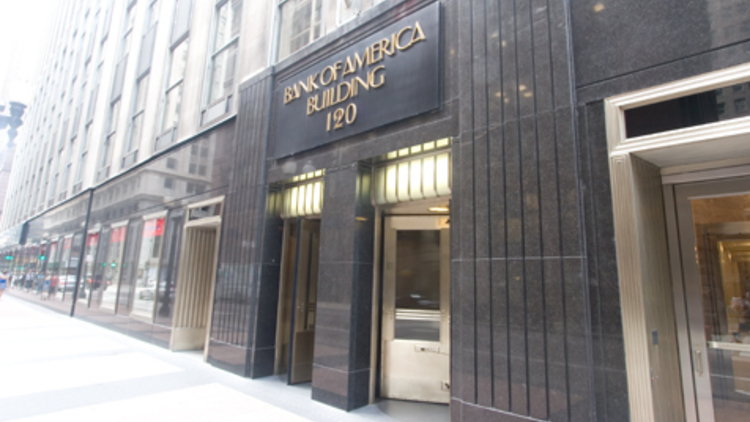 Continue north on Wabash, then head west on Adams Street. 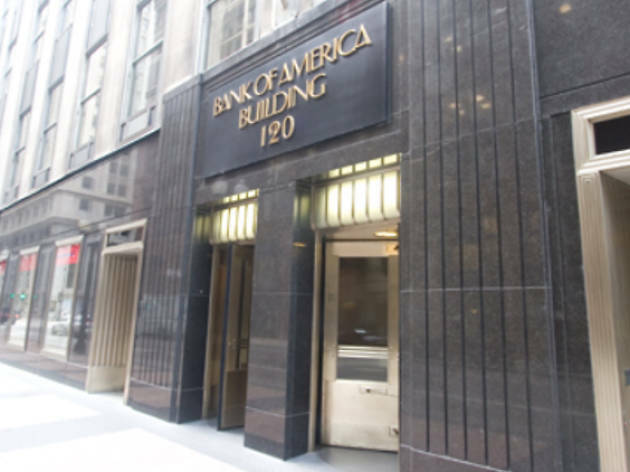 Right before you hit LaSalle Street, go in the Adams entrance of the Bank of America Building (135 S LaSalle St), which was transformed into the ritzy restaurant where Billie and John eat in Public Enemies. The guard on duty gleefully pointed out that the mailbox area at the far end of the lobby is where Depp went to get his coat. 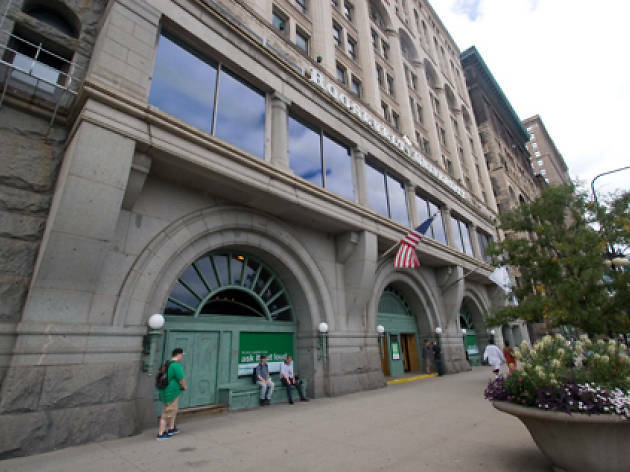 If you want to have a meal in the building, you can eat at the cafeteria in the building's former bank vault. 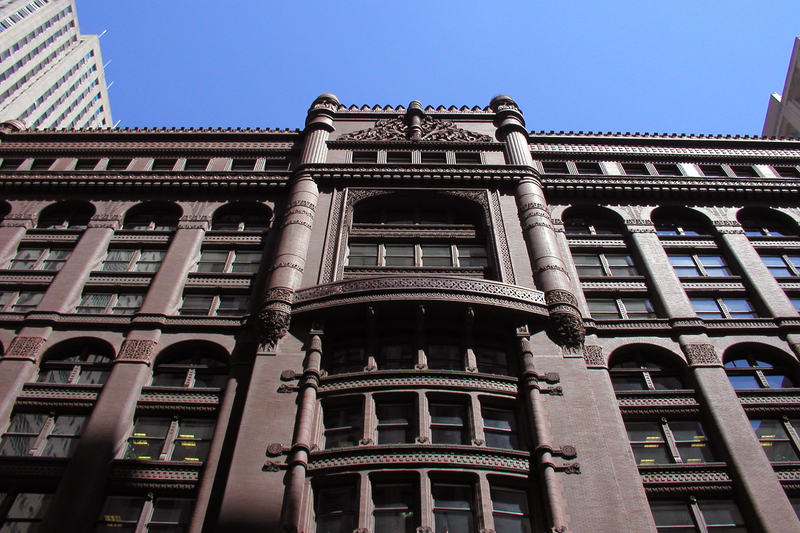 Cut over to the opposite corner of Adams and visit the Rookery (209 S LaSalle St). 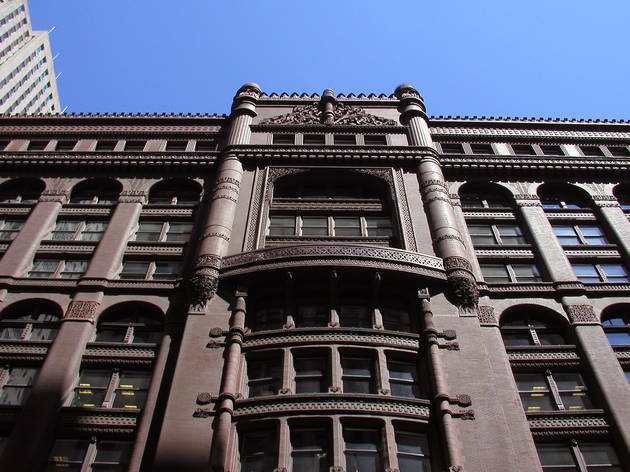 The building’s beautiful exterior doubled for Eliot Ness’s office in The Untouchables. 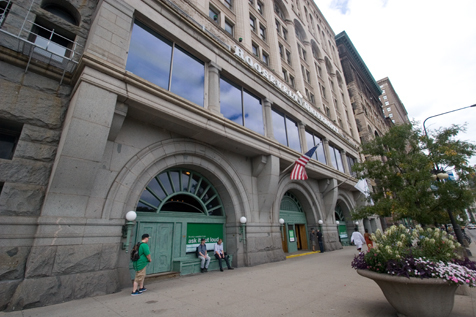 To emphasize the booze was right under Ness’s nose, the filmmakers, in a geographic joke, placed his first successful liquor raid directly across the street at the City National Bank and Trust Company building (208 S LaSalle St), disguised as a post office in the movie. 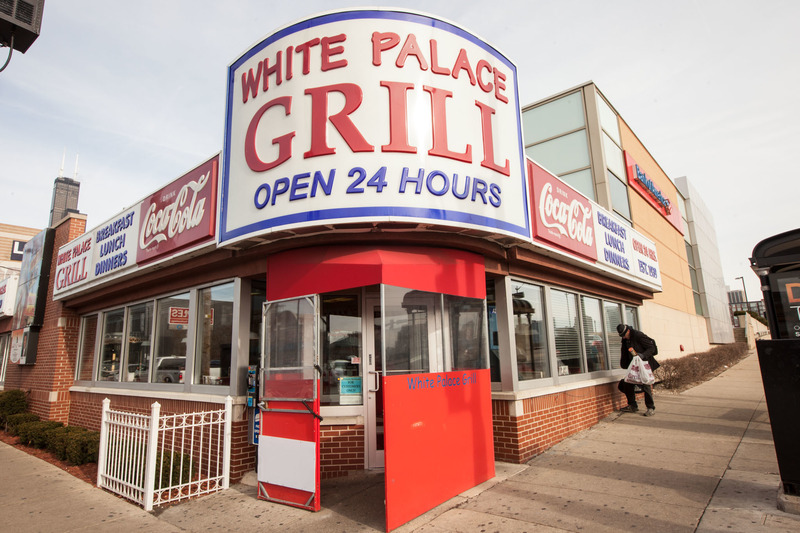 If you have a serious Untouchables hankering, you must wander four blocks west on Adams to Union Station (210 S Canal St). According to a Metra employee who acted as if he gets asked this question every half-hour, both staircases of the Great Hall were used in the filming of the famous baby-carriage shoot-out. Walk up either Untouchables staircase onto Canal Street and turn south. 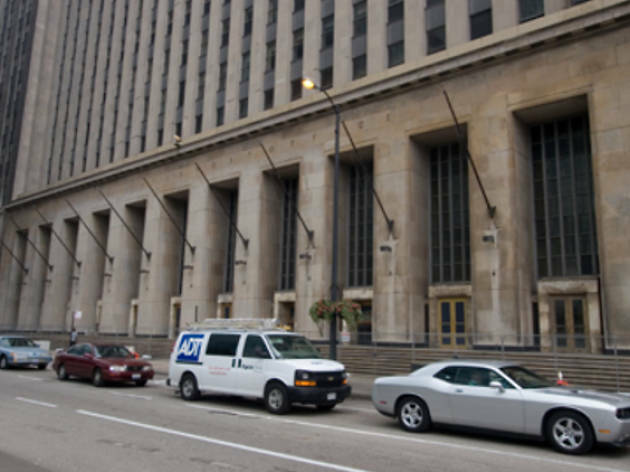 The post office you’ll soon see on your left (433 W Harrison St) was one of many buildings used to convert Chicago into 1940s New York in The Public Eye (1992), which stars Joe Pesci as a tabloid photographer (based on the legendary Weegee) who gets tangled in a mob murder. This stretch of the walk—a mile down Canal—is a bit of an eyesore, but console yourself with the knowledge that this is one of the few post offices in the country open on Sundays. 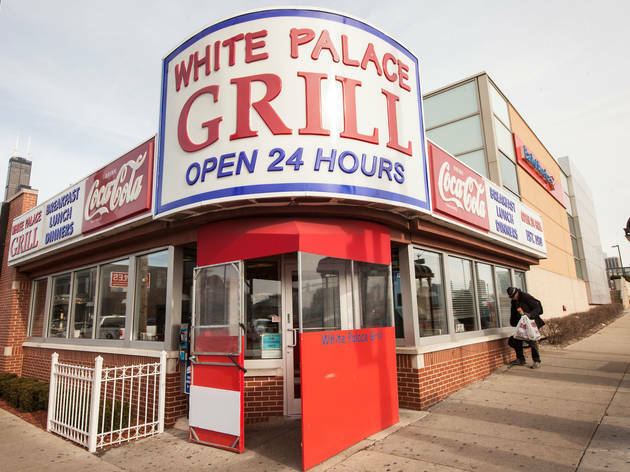 You’ll be hungry after a long walk, and White Palace Grill (1159 S Canal St) makes a perfectly adequate grilled cheese and shake. A more benign kind of gangster visited this spot in 1993’s Mad Dog and Glory, which cast Bill Murray and Robert De Niro against type. In the diner scene, Murray’s mobster sizes up De Niro’s cop, who saved his life a few nights earlier. He’ll soon find a way to repay him.